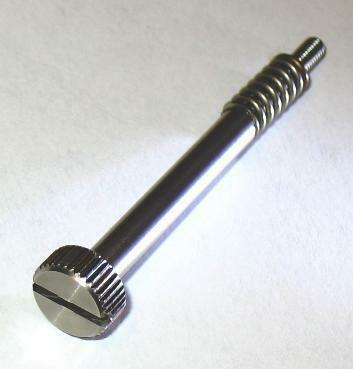 CVP's stainless steel idle speed screw for Harley CV and Keihin butterfly style carburetors. 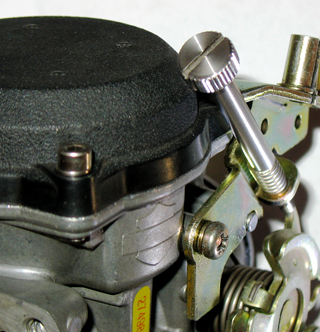 CVP Idle Speed Screw shown installed on a stock CV carburetor. 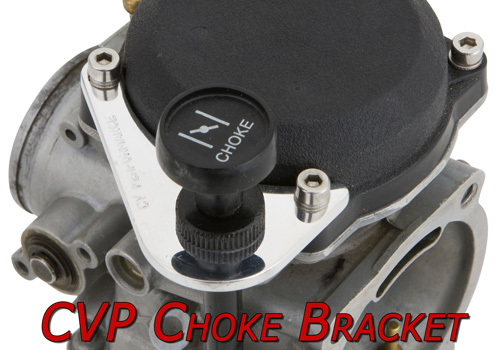 Also fits Harley Keihin "butterfly" carburetors. *May not fit under oversized fuel tanks. This is a well made attractive looking product that easily replaces the stock screw and makes it very easy to adjust the idle when needed. This product was awesome and made of the best materials. I had no problem installing it and now I have the ease of adjusting my idle without getting scarred. Thank you CVP! 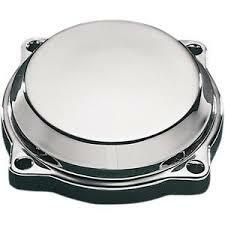 Well made great product that makes idle adjustment on the fly possible.